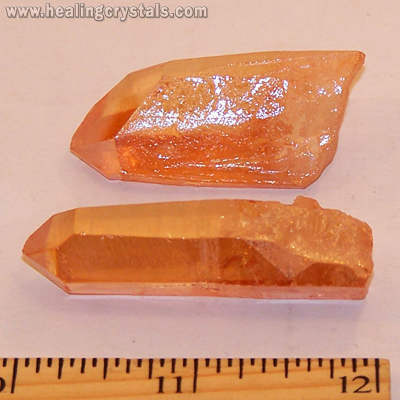 These are beautiful "A" grade Tangerine Aura Quartz Points. Tangerine Aura (Melon Aura) is created when Clear Quartz crystals are super-heated in a vacuum and infused with vaporized Gold & Iron Oxide. This creates a synthesis of unique vibrations making them a great piece for healing work.